The Hand Mirror: Feminist Event: Women, Class & Revolution! 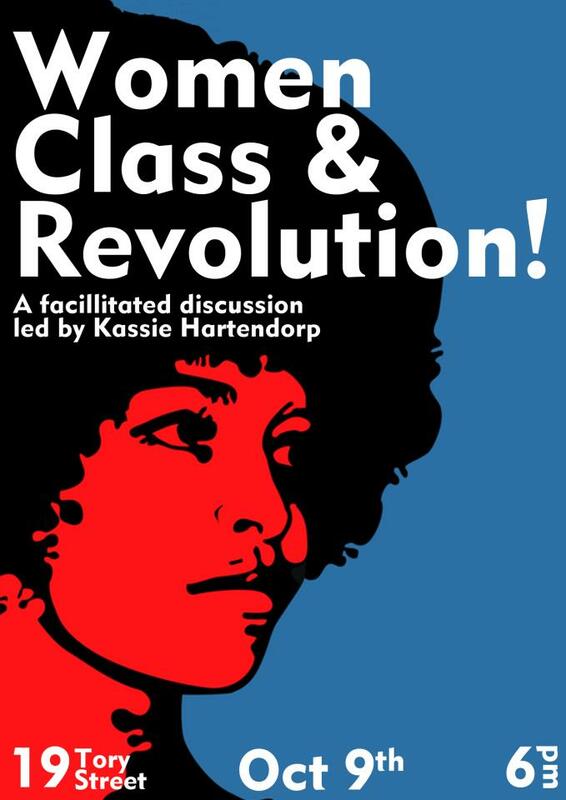 Feminist Event: Women, Class & Revolution! A facilitated discussion on how the struggle for socialism intersects with the struggle for women's liberation, led by Workers Party member Kassie Hartendorp. Bring your thoughts and ideas, or feel free to sit and absorb. All welcome! Tuesday 9th October, 18:00, 19 Tory Street, Wellington. Facebook event here. Accessibility information: the venue is street level but there is a small lip at the door.